Alex McTaggart found it on a clean up in the early 70s in Gladstone street, Newport and knew it needed to be ‘kept’! On November 18th this year the 60th Anniversary of the day locals witnessed visiting Americans ride across the waves much faster than anyone had before on Malibu surfboards will arise over the southern end of the Avalon Beach horizon. The exhibition by the Americans, visiting to be part of an Avalon Beach SLSC carnival, is attributed as the start point for the whole gamut of what became the surfing revolution and evolution - Bilgola's David Lyall, an eyewitness, began designing and building Mals here, ongoing disputes between surf life savers and surfers, despite the surf board originally being surf rescue equipment, led to the formation of the Australian Surfing Movement, also instigated through the club, the forerunner of the current day Australian Surfing Association progression, as well as everything in the decades since - World Champion surfers, a clothing industry centred in the surfing lifestyle, and for many, not just something you do but a way of being. Similarly, and also in November, the first trial of an inflatable rescue boat (IRB) for surf rescues took place at Avalon Beach on the second day of that month in 1969. The idea to use IRBs for surf rescue purposes was that of Warren Mitchell OAM of Avalon Beach Surf Life Saving Club. The first IRB surf rescue occurred in the following month when Warren and John Fuller rescued eight children caught in a rip in the centre of Avalon Beach. ‘Given the great air of uncertainty that had surrounded the concept, I was just a little happy to find the bloody thing worked! We worked against great odds. 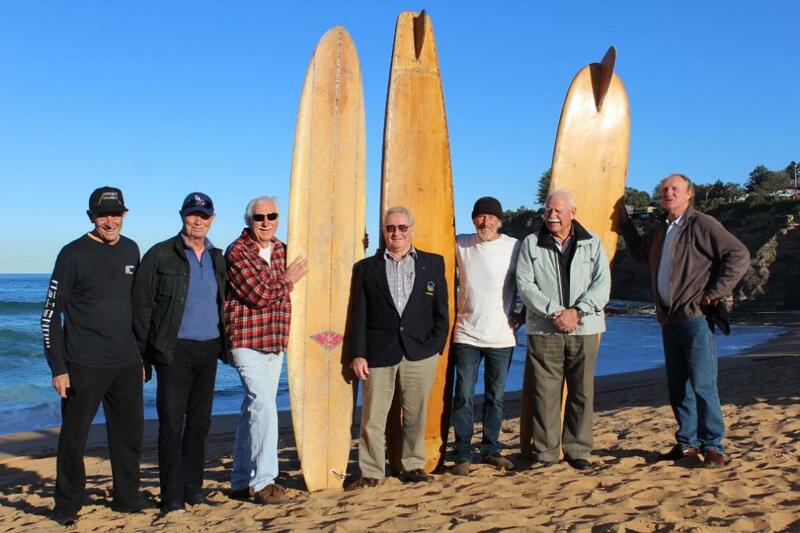 It was a team effort by Avalon Beach Surf Life Saving Club.’ - Warren Mitchell OAM. This one item of surf rescue equipment has been directly responsible for the rescue of over 200, 000 people in Australia and around the world since it came into use. A few years ago Kevin Dennis began discussing with locals an idea to place a plaque at Avalon Beach to honour the contribution of the Malibu surfboard exhibition so visitors could be informed of what had occurred where they stand, much along the lines of plaques found in numerous places around Australia where something historically significant has occurred. Roger Sayers, a Life Member of Avalon Beach SLSC, put forward a proposal that a second plaque honouring Warren Mitchell’s contribution to Surf Life Saving would also enhance and further the knowledge of visitor and resident alike. Now these two gentlemen, along with supporters in the Avalon Beach SLSC, NASA, the Avalon Beach Historical Society, would like to see these two plaques installed and unveiled to celebrate these inestimable contributions at the site of their occurrence in time to mark upcoming anniversaries for these two historic contributions to Australia and the world. The 2016 Palm Beach Mermaid Costume created by Elyse Cole - Left to right Elyse, Beryl Driver and Viktorija McDonnell - AJG Picture. Elyse Cole, one of the Palm Beach Mermaids and drivers of Car 2108, has outdone herself this year with these 2016 Mermaids costumes – cheerfully sparkling creations. Each year the Mermaids own personal costumier creates the most wonderful outfits which delight all the people the Mermaids meet along the way. While we were taking these pictures for the Mermaids on Saturday a friend of Elyse’s and her husband cycled past and instantly knew what was going on. Caroline, the lady cyclist, handed in a donation towards the Mermaids 2016 fundraising for Variety, The Children’s Charity. As the photos of their 2016 costumes were taken in a quiet cul-de-sac the Mermaids then wondered, since they were all dressed up already, whether they should head on out to find other cyclists! Caroline adds to the fundraising pool - pictured here with Elyse. 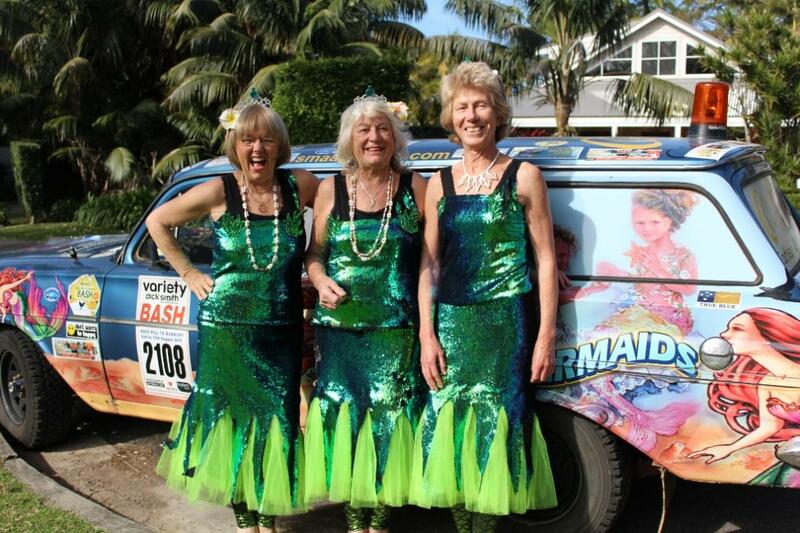 If you didn’t see the girls yesterday you can support their efforts at Club Palm Beach on Monday August 1st when the Palm Beach Mermaids Car 2108 Annual Dinner takes place, also raising money for Variety, The Children’s Charity as part of the Mermaids of Palm Beach 2016 Variety Car Bash. In 2016 the Mermaids will take part in the Berowra to Bowen 'B to B Bash'. Cars dated pre 1976 will set off from Berowra for a ten day adventure, travelling through two states to arrive in Hamilton Island for the first time. Along the way they’ll be visiting rural towns and 11 schools where those participating can see the efforts of their fundraising first-hand. Each member of this dynamic trio has a deep love for children and we're sure Car 2108, a Holden of course, will be 'packed to the gills' with treats to spoil youngsters along the ways. Once again this year the Mermaids will be heading back to the blue blue sea to dip their toes in the warm waters off Bowen as they finish another trek of thousands of miles. More HERE - Including a picture of the most perfectly green 'scaled' leggings! 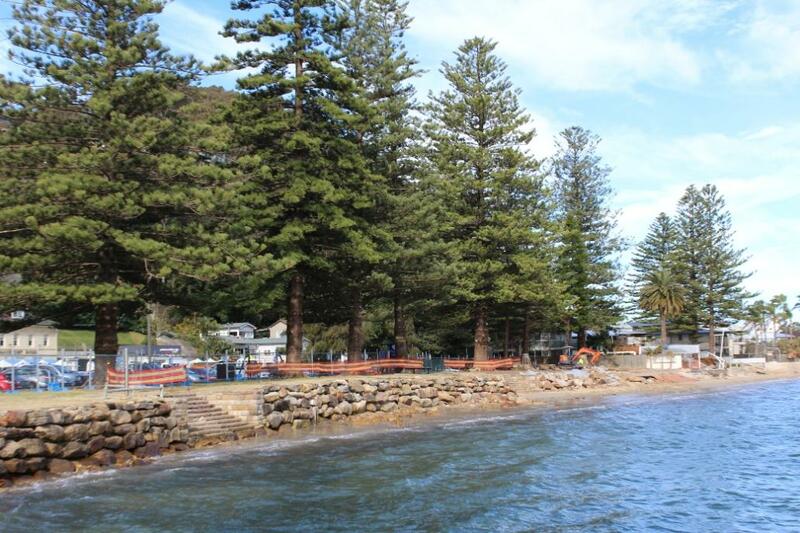 Residents of Palm Beach have expressed dismay this week at the amount of branches that have been cut from the row of Norfolk Pines in Pittwater Park, Palm Beach. “This is an appalling and unnecessary destruction of these iconic trees,” remarked another, “there is a clear path for access to the seawall for repairs required at the southern end where there is a wide space between the pines. 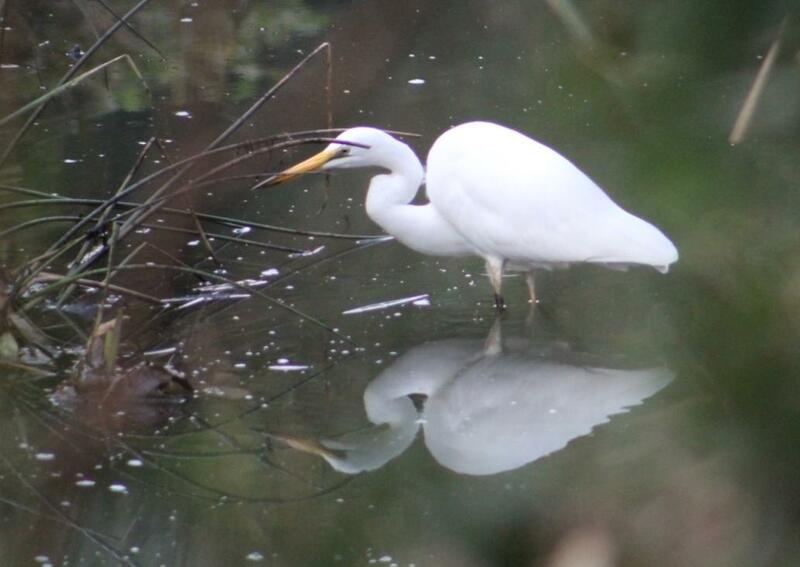 This is Crown Land – who authorised this?”. 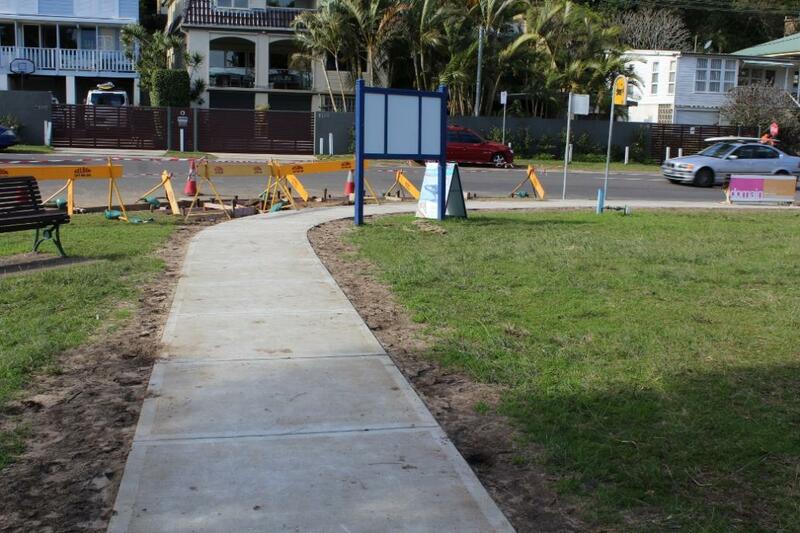 In other news associated with Pittwater Park, footpath works as part of new Pedestrian 40 km zone for this stretch of Palm Beach were completed this week. In May Pittwater MP Rob Stokes announced $194,000 in NSW Government funding to help improve pedestrian safety at Palm Beach. The plan to introduce a new 40 km/h High Pedestrian Area in the vicinity of the main commercial precinct on Barrenjoey Road is widely welcomed by residents and visitors to the popular Pittwater Park. The project will involve new signage and road changes to help alert motorists to pedestrian activity and assist with speed management throughout the area. New pavement woks to and from Palm Beach Ferry Wharf competed this week. After being thrust into the position of Acting Lifeguard Supervisor at very short notice, Matthew Hastie quickly proved he was the right man for the job. A successful season has culminated in him being named Pittwater Lifeguard of the Year for 2015/16. Hastie a 10-year veteran of the Australian Lifeguard Service (ALS) put his skills, professionalism and local knowledge to good use on some of Sydney’s busiest beaches. At the beginning of the season Matthew Hastie was charged with assisting in the development and implementation of a new training program for Jet Ski operations. He wasn’t to know just how useful that program would be as less than a week after the training course a jet ski was used in a daring rescue of a teenager at the notorious Warriewood Blowhole. 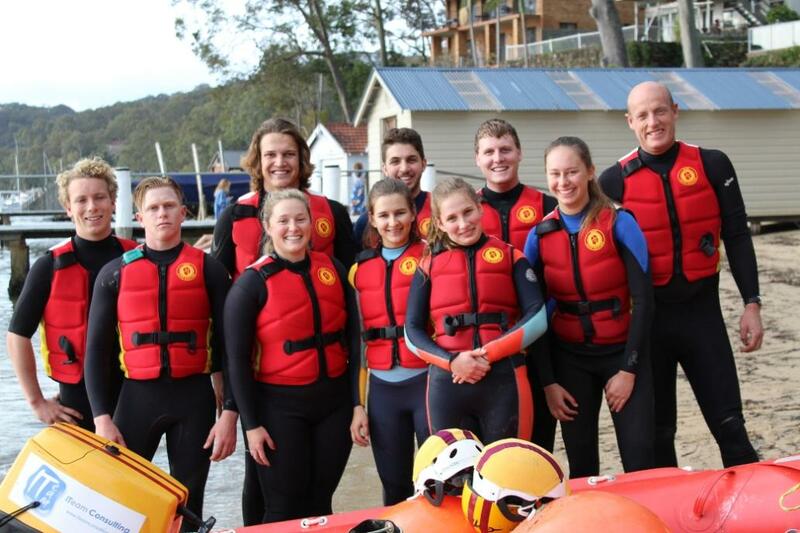 The Australian Lifeguard Service NSW is currently seeking self-motivated, well presented Lifeguards with exceptional surf lifesaving and lifeguarding knowledge to work during a casual period in the Greater Sydney area (Pittwater, Royal National Park, Lake Parramatta). Left to right: Keelan Smith, Nathan Doyle, Liam Taurins, Lauren Budd, Siobhan Cooper, Nick Singh, Melisse Cooper, Kieran Menzies, Naomi Bronier, Guyren Smith. Due to every Surf Life Saving Club using their IRB's as vital rescue and carnival safety equipment during the Season, training and IRB competitions are run during Winter. These great Newport SLSC Members were spotted on Clareville Beach, Pittwater, last Sunday afternoon 'heading out' onto the estuary to do some mid-Winter training - just proving Surf Life Saving is a year round passion for many! Few nice waves caught this week - South Av. Thursday July 14, afternoon.